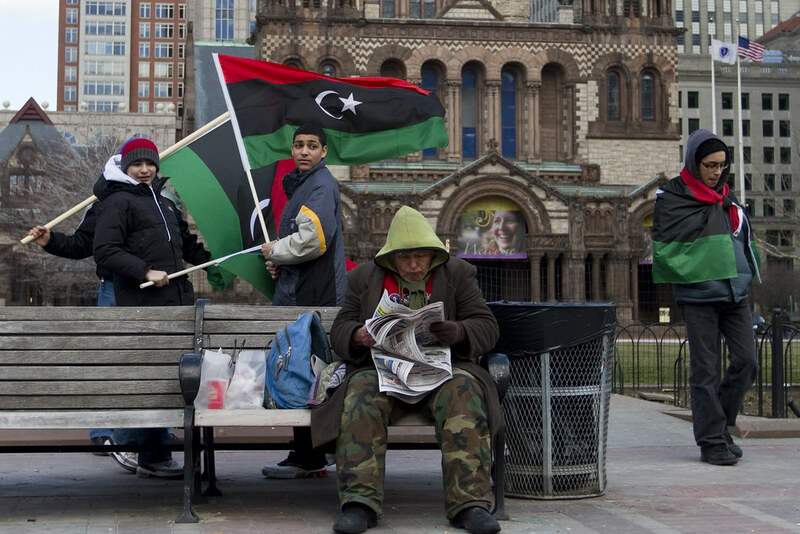 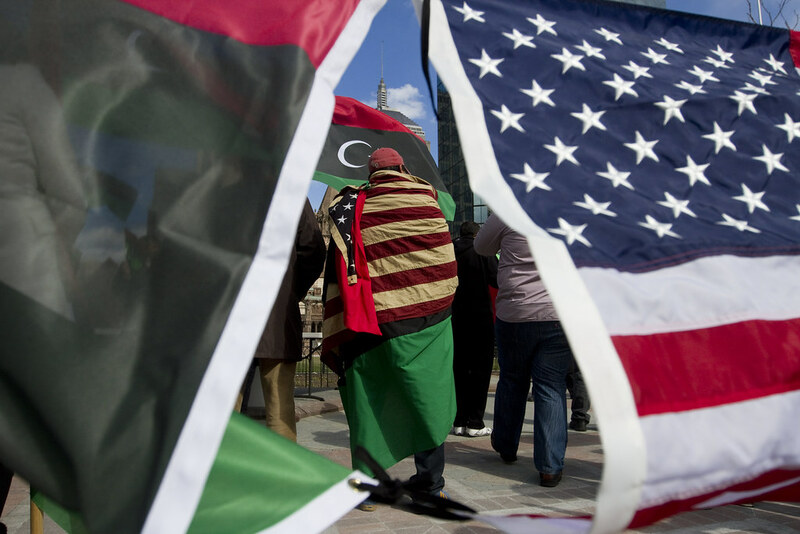 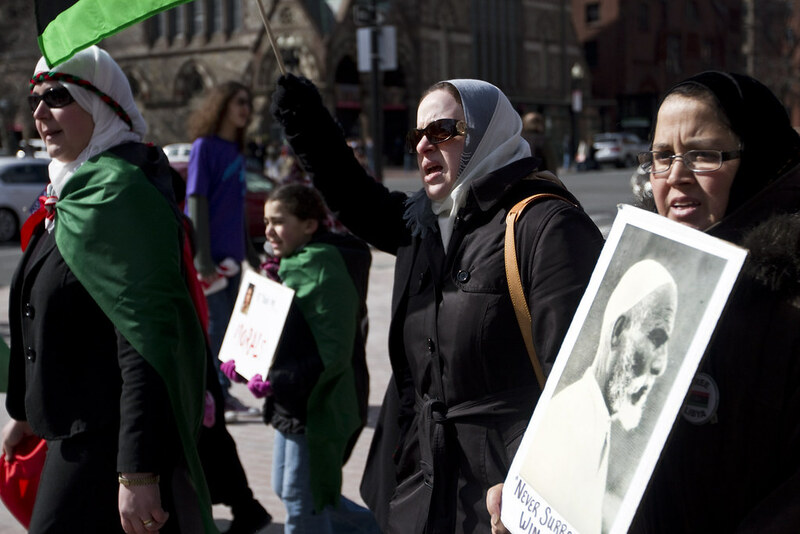 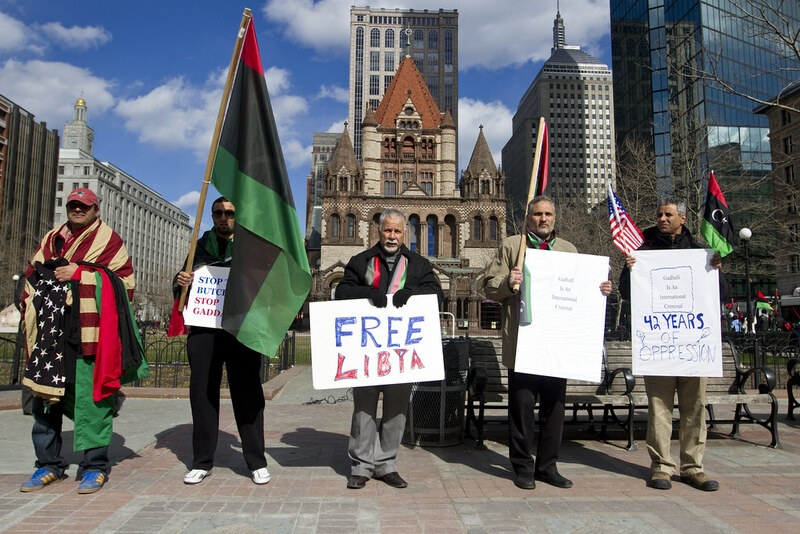 Saturday afternoon, a group of Libyans living in Boston gathered in Copley Square to show their support for the U.S. and other foreign countries intervening in Libya. 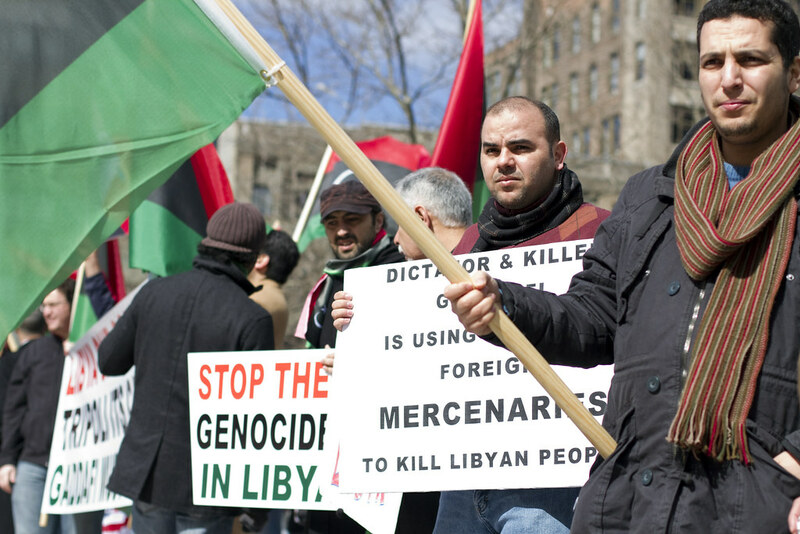 I talked to several of the demonstrators who said they would prefer there not to be bombs dropped at all, but if it is going to happen, they would rather the target be Colonel Qaddafi’s forces and not civilians. 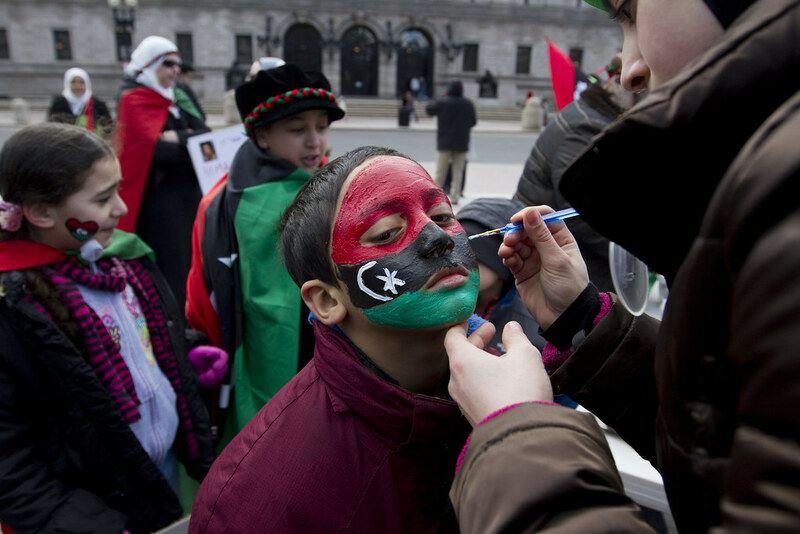 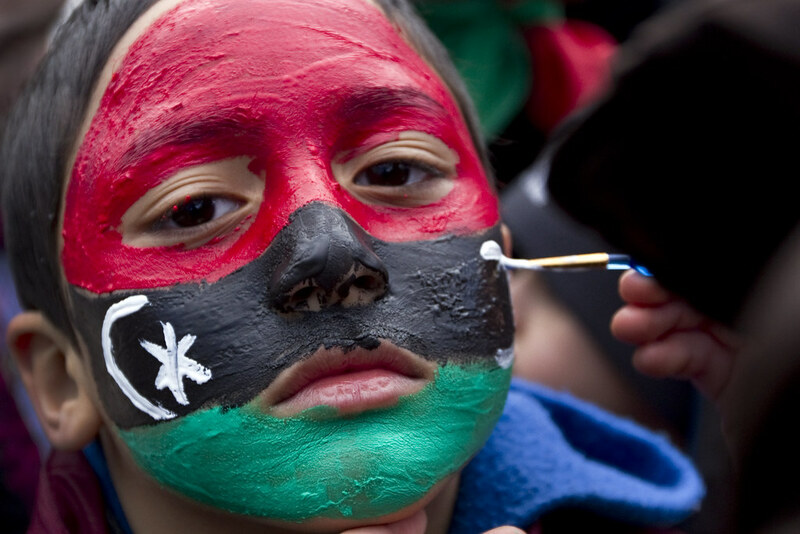 Many of the demonstrators were young Libyans whose families and relatives are still living in Libya.